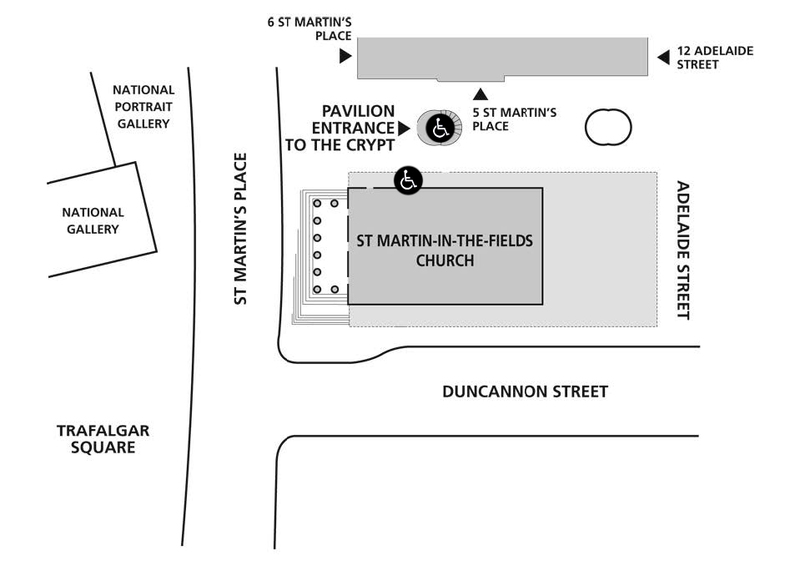 St Martin-in-the-Field is located in the northeast corner of Trafalgar Square. Download our brochures for a summary of everything going on in the upcoming weeks. Toilets suitable for wheelchair users and visitors with buggies as well as baby-changing facilities are located in the Café in the Crypt. Sales counters at a lower height that are suitable for wheelchair users are located in the Box Office and Shop. Service sheets and newsletters are produced in a large font. Group visitors with disabilities can call 020 7766 1100 for assistance.